Are you aware that many African countries still pay colonial tax to France till today? One would say that Africa is still being exploited even till date. It brings us to the conclusion that the Europeans may not want us to be greater than they are after all. An article by Mawuna Remarque Koutonin, peace activist and editor of SiliconAfrica.com discussed this act. The writer drew attention to the bad influence of French on the African continent and how they are still subjected to pay colonial tax for the benefits of slavery. And what’s more worrying is that French as of yet flourishes and prospers in this action and earns around over 400 billion dollars from a continent that is about to be as developed as theirs. Well, after going through this article, you will not help but say that Europeans still manipulate our dear motherland. Guinea used to be a French colonial possession in West Africa until 1958 during the fall of French Fourth Republic as a result of its political instability and its failures in handling colonies, particularly Indochina and Algeria. And the country’s independence came as a result of Sékou Touré of Guinea’s bright decision to pull out of the French colonial empire that year and pick out independence for Guinea. That notwithstanding, a lot of harm was done due to the decision which Sékou Touré took as the French colonial members in Paris didn’t find his decision pleasing. Out of sheer displeasure as great as others in the past, the French administration in Guinea wrecked anything and everything in the country that is a symbol of what they dubbed the “benefits from French colonization”. According to Mawuna Remarque Koutonin, the author of the article, more than two thousand French relocated from the country, collecting virtually everything they had put in place and tearing down immovable things including schools, nurseries, public offices. They ruined even the administrative buildings, cars, books, medicine, research institute instruments, tractors and they slaughtered the horses, cows in the farms. The foods were not left out of the mass destruction as they both poisoned and set food stored in warehouses on fire. Though the reason for the shockingly bad action of theirs was not stated bluntly, the underlying truth hidden in their action is basically to let other French colonies know that declining France is synonymous to facing dire and severe consequences. 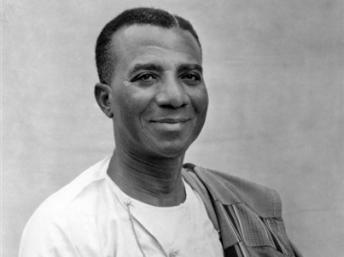 The first President of the Republic of Togo, a tropical, sub-Saharan nation in West Africa which greatly depends on farming, named Sylvanus Olympio discovered a middle ground answer to the puzzle with the French elite because there were not many solutions available. He wants his country to get out of the French dominion list, and hence turned the signing of the Colonization Continuation Pact proposed by De Gaule. But alternatively opted to pay a yearly debt to France, and shockingly or funnily enough, the annual debt is for the benefits Togo got from French colonization. Isn’t that exploitative? Since that was just about the only better way to keep the wrath and anger of Europeans at bay particularly their massive destruction before moving out of the country, a country which solely depends on farming opted to enrich a nation that was and is still way richer than them from their seemingly tiny pockets of farming. This no doubt reflects the use of cork of a bottle in fetching water into the ocean in an attempt to get it filled up. More so, the amount that was approximated by France as the so-called colonial debt was so huge that it was almost 40% of the country’s budget in 1963. Meanwhile, the financial situation of the just independent Togo was something short of stable. For that reason, Olympio opted for a change in the money they were using, all in a bid to build a nation that will not depend on others for its growth. He then dumped the French colonial money FCFA (the Franc for French African Colonies) and launched the country’s own currency which got him dead barely three days after he began the printing of country’s own currency. His death was caused by a small group of ignorant and uneducated soldiers supported by France whose only aspiration was to waste the life of Olympio; the first elected president of the newly independent Togo. In the same vein, Keita Modiba who was the first president of the Republic of Mali also on June 30th, 1962 decided to pull out from the French Colonial Currency FCFA that was forced on 12 the newly independent African countries as at then. The Malian President knew that if he allowed his country to continue being a French colony, it will not only be a liability or load but also an inevitable trap for Mali. Sadly, there was another striking coup on November 19, 1968, which destabilized his plans and sent him to prison in the northern Malian town of Kidal. The coup was backed by another member of Foreign French legion whose name is Lieutenant Moussa Traoré. Keita Modiba who devoted all his life for African unity was thrown into prison and the most annoying aspect of everything is that after he was transferred back to the capital Bamako in February 1977 in what was asserted to be Government action towards national reconciliation in preparation for him to be set free, Modibo Keïta died, still a prisoner, on May 16, 1977. He was a huge supporter of socialism and he tried relentlessly and actually took the Republic of Mali towards progressive socialization of the economy. As a matter of fact, at the time of this instability resulting from African countries striving for their independence, France continuously used many ex-members of Foreign France legion to forcefully take over in the name of a coup against elected Presidents. In case you are doubting it, the analysis below will certainly clear your doubt. on January 1st, 1966, David Dacko, the first President of the Central African Republic was overthrown as a result of a coup backed by Jean-Bédel Bokassa, an ex-member of French Foreign Legion. 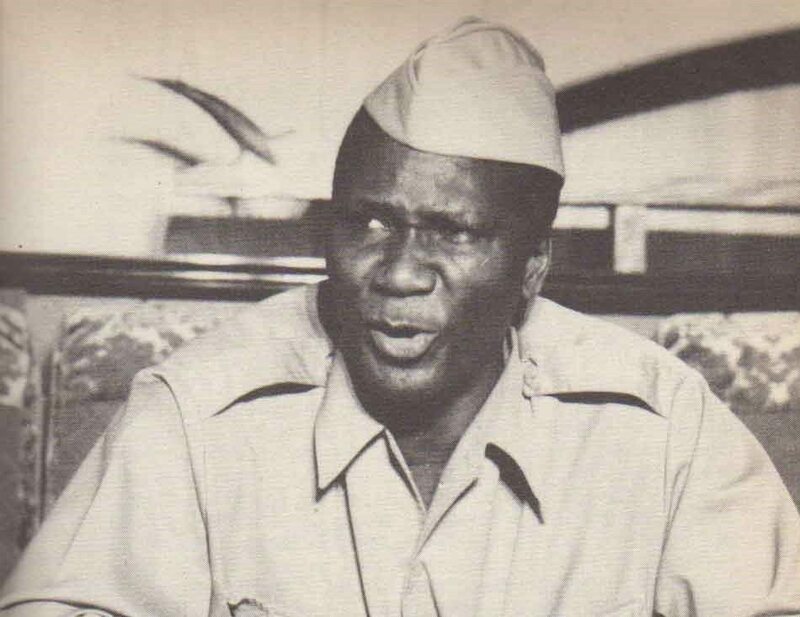 Aboubacar Sangoulé Lamizana, an ex-member of French legion on January 3, 1966, backed a coup against Maurice Yaméogo, who was the first President of the Republic of Upper Volta, now referred to as Burkina Faso. Not only did he back the coup he, also fought with French troops in quite a good number of countries including Indonesia and Algeria against these countries’ independence. Olympio, who is today known as the first President to be assassinated during a military coup in Africa and his wife were asleep when many members of the military broke into their house, waking them from their sleep. Before dawn, Olympio’s body was found by the U.S. Ambassador Leon B. Poullada three feet from the door to the U.S. Embassy. This sent shocking and frightening messages to other African leaders who became even more shocked and afraid of being caught in the same kind of predicament. According to reports, he was killed on January 13, 1963, by an ex-member of French Foreign Legion army, a sergeant referred to as Etienne Gnassingbe who claimed to have personally fired the shot that took the life of Olympio while Olympio tried to escape and he supposedly had received a reward of $612 from the local French embassy for the killing job. The ideas of Olympio which was enough to make his nation independent, a self-sufficient and self-reliant country cost him his life. After all, he isn’t supposed to build an independent nation when French hasn’t granted them the go-ahead order to do so. To substantiate the facts mentioned above, throughout the past 50 years, 67 coups took place in 26 countries in Africa and 16 of those countries in Africa were colonized by France. This, therefore, shows that nearly 61% of the Coups that took place happened in the French-speaking countries of Africa. Don’t you think France is surely desperate by the way it strives tirelessly to maintain a strong contact with her colonies no matter what it would cost? Of course, you are right to say yes. 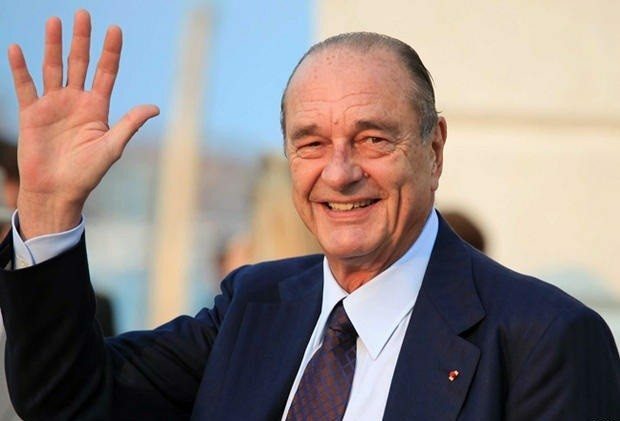 The ex-French President Jacques Chirac in March 2008 stated that without Africa, France will smoothly go down in the rank of a third (world) power. Also, the former President of France François Mitterand who left the seat for Chirac also said that if there was nothing like Africa, France would not have had any history in the 21st century. Did you know that 14 countries in Africa are by colonial pact required to pay nearly 85% of their foreign reserve to the France central bank under the of control French Finance minister even as we speak? It is really disturbing that Togo and other 13 countries are required to pay a colonial debt to France. For the stubborn African leaders who declined this offer, they were either killed or overthrown through a coup, but the docile ones were backed and recompensed with extravagant lifestyles while their subjects embraced abject poverty and distress. My anger gets even worse knowing they are not ready to condemn or cancel the act as these countries have already paid in 2014. It seems our leaders are really afraid of being killed and therefore need a powerful nation to support them. In case you are wondering why most leaders send their revenue abroad, it is because they are oppressed by colonial countries. Is that so hard to believe? This simply means that France holds the National reserve of fourteen African countries which are; Benin, Burkina Faso, Guinea-Bissau, Ivory Coast, Mali, Niger, Senegal, Togo, Cameroon, Central African Republic, Chad, Congo-Brazzaville, Equatorial Guinea and Gabon. Hence, they pay their national monetary reserves into the central bank of France. Isn’t that looting and a very obvious exploitation? To me, looking at the content of the said document signed by our leaders you could say that some African countries are still slaves to French colonials. But the truth remains that we are the only ones who can really help ourselves. We may wait as we might, and help will never come our way. 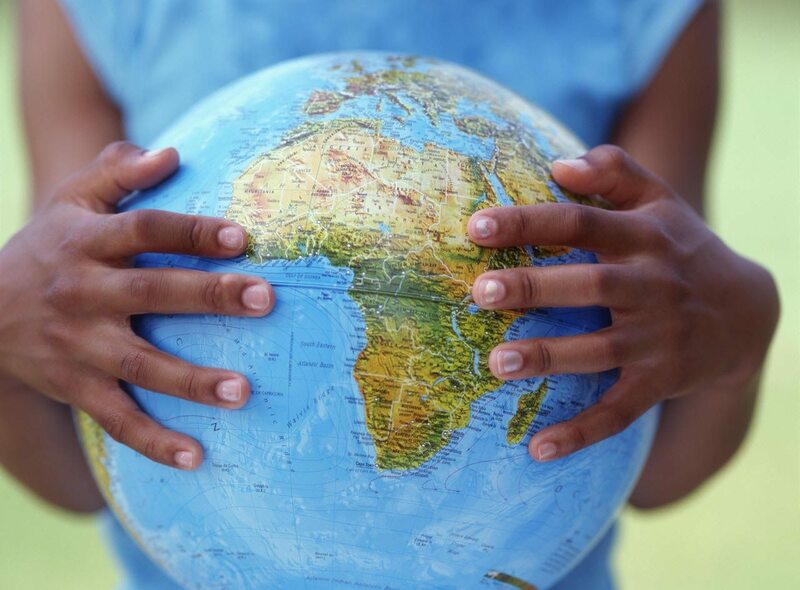 Unless we stand up for Africa, we might pay this debt forever. Take for instance what France did to Haiti. In case you didn’t know, France subjected Haiti to pay a sum which is equal to the modern $21 billion from 1804 till 1947 (nearly one century and a half) for the losses suffered by French slave traders as a result of the abolition of slavery and the setting of the Haitian slaves free. The African countries involved have paid for just 50 years, so it is possible we still have one century more to end this payment. These colonial masters may not be here, but they are still in charge.